The Westminster Group is a specialist security and services group operating worldwide through an international network of agents and offices in over 50 countries. Westminster’s principal activity is the design, supply and on-going support of advanced technology security solutions, encompassing a wide range of surveillance, detection, tracking and interception technologies and the provision of long-term managed services contracts such as the management and running of complete security services and solutions in airports, ports and other such facilities together with the provision of manpower, consultancy and training services. Westminster predominately works with governments and government agencies, non-governmental organisations, NGO’s and blue chip commercial organisations worldwide. More news from The Westminster Group is available in our News section. Providing solutions to almost any Fire, Safety, Security and Defence requirement, working with government agencies, military establishments, airports, sea ports, embassies, banks, power stations and major organisations and corporations worldwide. Focussed on providing long term recurring revenue, managed services contracts and the provision of manned services as the management and operation of complete security services and solutions, together with consultancy, training and other similar supporting services. 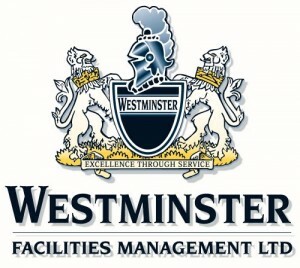 Further information regarding The Westminster Group’s divisions and companies is available on the Group Companies page. The focus of our business is to provide niche products and services to niche markets around the world. We do so through an expanding network of strategically located offices and agents in 48 countries covering every continent with the exception of Antarctica. We have invested and continue to invest heavily in building our international presence and agency network. The strategy we have developed to capitalise on the market opportunities that undoubtedly exist around the world today is, we believe, creating a competitive advantage for our Group and we are therefore well placed to achieve significant growth from the many opportunities presented.